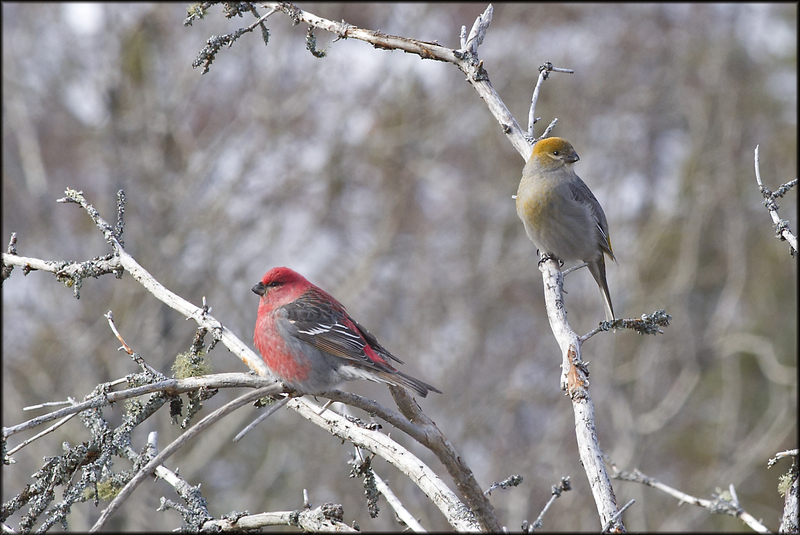 I’d read that a few good birds, were coming to the feeders at the Visitors Centre, in Algonquin Park. 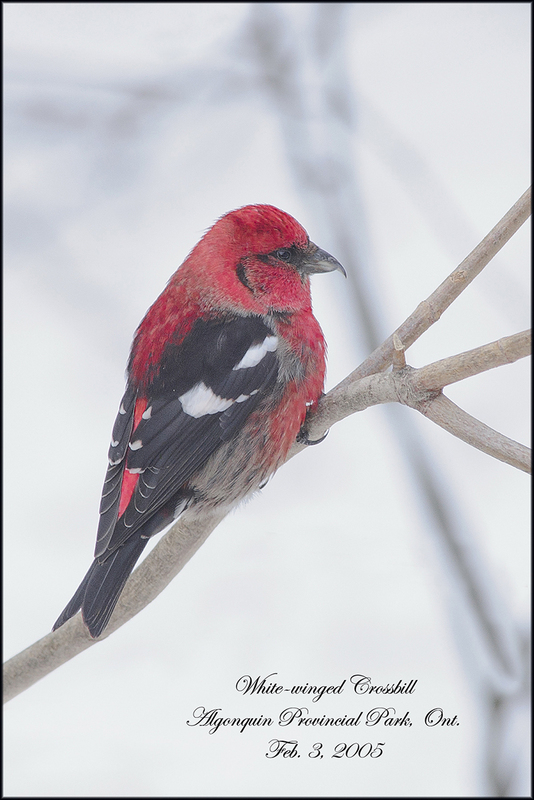 Of particular interest was a male White-winged Crossbill. I have a few images of this species but most are at severe camera angles and far away. 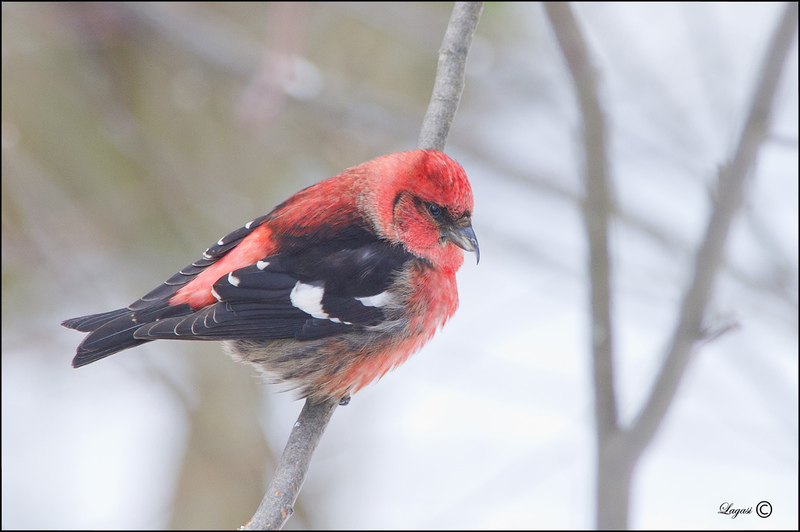 I knew my chances were good for improving on this specie’s photo. 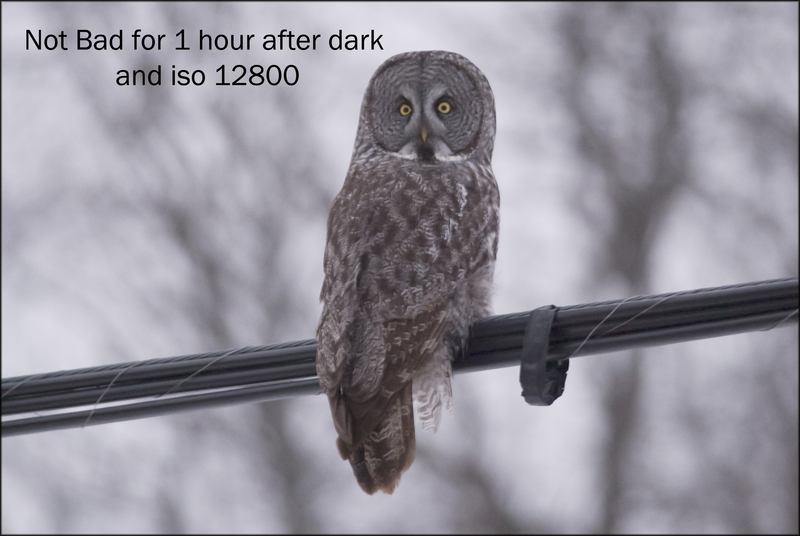 It didn’t hurt that Great Gray and Northern Hawk Owls were also being reported in the area. Off we went in -24C weather, thank god, there was no wind. 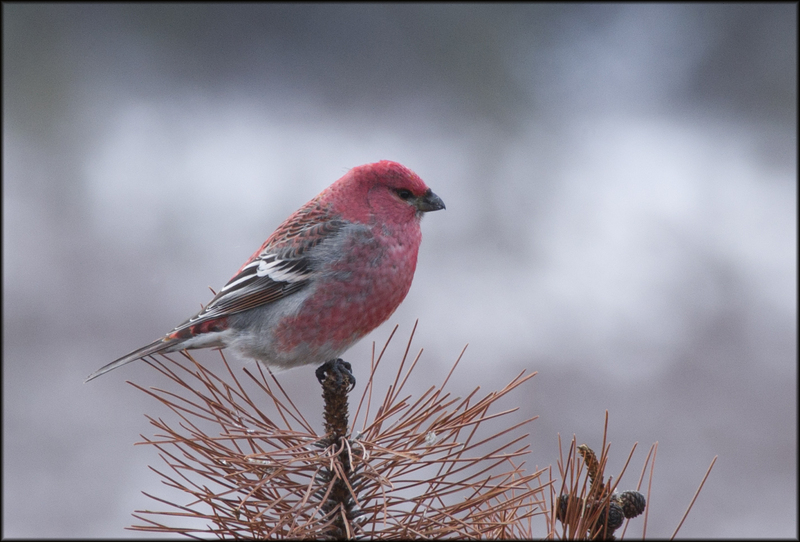 The Owls were very scarce, none had been seen in 2 days but the Visitor Centre feeders didn’t disappoint, birds were constantly coming in: Blue Jays, Redpolls, Pine Grosbeaks and of course the lone Crossbill. My best photo of this bird to date. 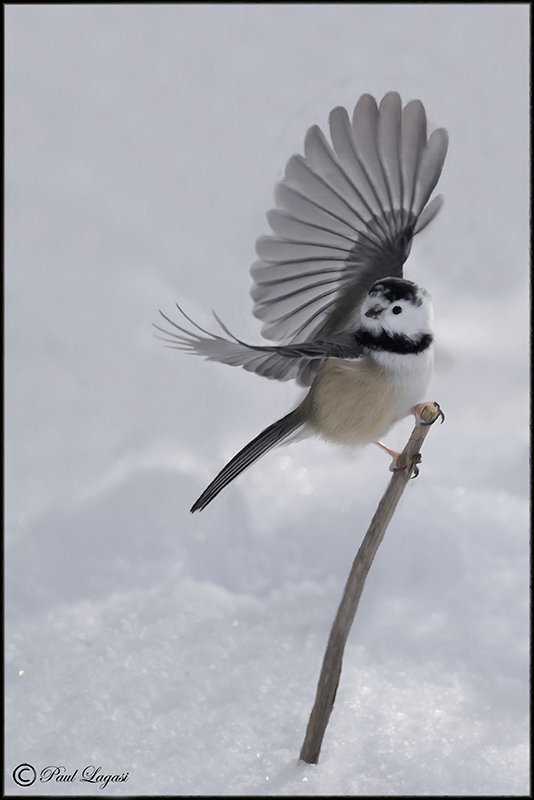 At the junction of Opeongo Road and Cameron Lake Road, there was a leucistic Chickadee, who put on a great show. We did manage to see a Great Gray on the way home, just west of Golden Lake at 5:30pm, well past available light for taking a decent photo. I did take a few images at ISO 12800 and no flash. Not bad results, gotta love the D3s. p.s. — the date that shows in my images is the date I first saw the species, not the day I took the photo, We listers are like that.